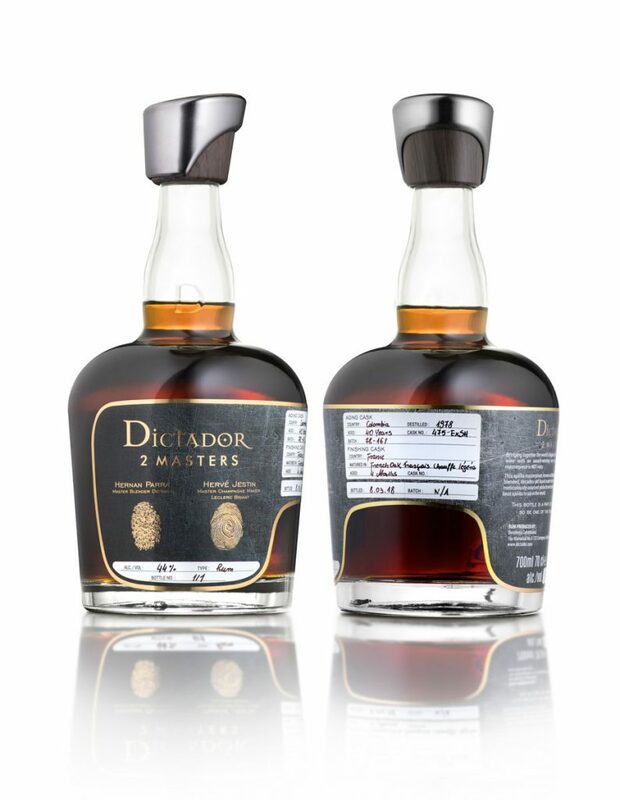 On March 19 in Düsseldorf the worldwide launch of a new line of Dictador rums took place. The project Dictador 2 Masters is a large-scale, long-term cooperation between the rum brand owner and other producers of renowned spirits from various regions of the world. – We wanted to demonstrate the effect of possible cooperation of two masters. We have our own rum master in Colombia, so we tried to look for masters also in other parts of the world to use various talents and present the effects of such cooperation – said Marek Szołdrowski, the President of Dictador Europe. During the presentation in Düsseldorf the representatives of almost all companies taking part in the first stage of the cooperation – master distillers as well as winemakers – expressed their opinions. Hernan Parra, maestro ronero from Colombia, responsible for cellars and coupages of Dictador, was online as the meeting was in form of a teleconference. – When we were embarking on this project I visited different regions famous for spirits production: Cognac, Gascogne, Champagne, Bordeaux, Scotland and other places; we got to know our spirits together, built relations, gained knowledge, without which this project would never happen – said Hernan Parra. – Meeting Hernan and his rums was a great experience. We met in our château, tried ten different rums which were maturing in our place, in our casks. We wanted to make use of the barrel as well as of different seasons. This is what we do here, when coupaging Hardy cognacs, of which there are four variations, related to winter, spring, summer and autumn. I am considering the use of barrels to which we have poured the rum. These are very old, more than a century old barrels, which guarantees that in the final taste of the rum the cognac will be easier to recognize than French oak – said Mickael Bouilly, from Hardy house, known since the mid-19th century. – Our friendship started with the exchange of bottles. Hernan received our wines and I was given rums. Our wines, sauternes, are very sweet. As it happens in the world of wines, there are better and worse years. For this project, we used only barrels after our best vintage years. We have finally obtained delicate and elegant rum, the sweetness of which in a beautiful way captures all the features of sauternes. Apart from the Dictador rum we also experimented with whiskey aging in our barrels. The effect was also good, sauternes is great for maturing strong spirits – said Stephane Rouveyrol from Château d’Arche, from the very heart of AOC Sauternes appellation in Bordeaux. – At first, I was against the idea as I thought it would be impossible to reflect the spirit of Champagne in rum. Colombian colleagues managed to persuade me in the end. The rum was aging in very old barrels, which were used for maturing sauternes before we filled them with champagne. We experimented and filled ten barrels. The result is full of energy and good emotions – said Frederic Zeimett from Leclerc-Briant champagne house. – As winemakers, we like to experiment, so we were enthusiastic to join such an interesting venture. I believe the 2 Masters project is a great cooperation and promotion for all involved parties – added Pierre Bettinger from Leclerc-Briant. – I am a winemaker and my knowledge about rums was limited. When I learned about the history of Dictador rum, I decided to intuitively choose barrels which would suit this sweet liquor, simultaneously adding something new and fresh, explained Thibault Despagne, whose vineyards occupy the best areas of Entre-Deux-Mers region, renowned for exquisite Bordeaux wines. – We operate in Bas Armagnac region, nearby the coast, and our château is more than 200 years old. Despite the immense experience, we had not participated in an equally interesting project before. We poured rum into casks after Armagnacs from 1977, with distinct aromas of orange, coffee, and coconut. We wanted these aromas to complement great rum – said Cyril Laudet from Armagnac house Laballe, where he is currently in charge of cellars and barrels. – We received a variety of casks, all with fantastic quality rums. 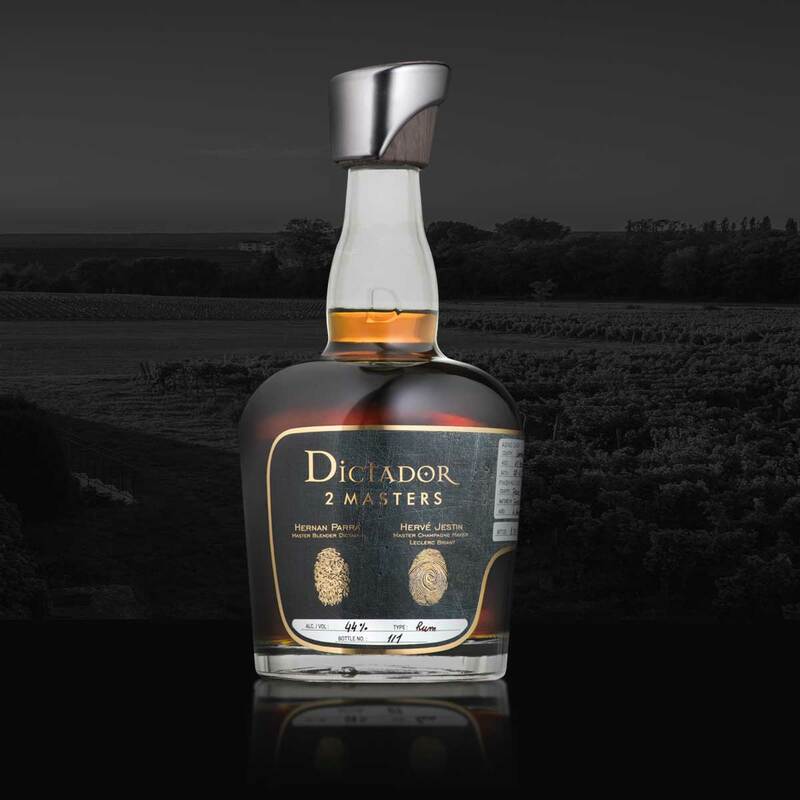 Our whiskey ages almost exclusively in sherry casks, so aromas and a lot of sweetness in taste are similar to rum; there are more similarities between Dictador rums and our whiskey. The effect of our cooperation was sure to be good. Rum distilled in 1978 was poured into our barrel previously used for 30-year-old whiskey – said Callum A. Fraser from Glenfarclas. First bottles will be put on sale in June – The edition is highly limited and it will reach only the best distributors – announced Marcin Łukasiewicz, sales manager in Dictador Europe. Every bottle is featured by the fingerprint of two masters – Hernan Parra from Dictador and the master who agreed to undertake the cooperation in the aging of rums. The presented collection of six bottles is in fact just the beginning of the project planned for many years. Each of our partners received ten bottles, and apart from producers from France and Scotland presented during the conference, there will also be expressions of rums from casks after sherry and port wine, as well tequila, mezcal, bourbon and even Chinese baijiu. And below you will find impressions after the first meeting with the series Dictador 2 Masters. After 40 years of aging in Colombia, the rum made its way for two months to old cognac casks, from Limousin oak. A lot of sweetness, raisins, dates, tobacco, leather. In mouth simultaneously sweet and dry, very leathery, tobacco, bitter tea, and the finish with dark chocolate and dried fruits and nuts. After 40 years of aging in Colombia, the rum was put for four months to champagne casks, made of Tronçais oak, earlier used to mature Moscatel wines. The aroma is as lively as champagne bubbles. A lot of yeast, grapes. Very interesting. Enters mouth with sweet tea, still a lot of yeast, a lot of grapes, still very fresh. Only the finish features heavy notes, mainly tobacco and leather, a bit of burnt wood or well-baked bread crust. After 37 years of aging in Colombia, the rum spent four months in cask after Sauternes wine. Sweet cherries in liqueur, pears, apples, plums. In mouth also a lot of fruit, but dried: fruits and nuts, raisins, dried apricots. Finished with sweet tobacco, a note of cinnamon, tea. After 37 years of aging in Colombia, the rum was placed for four months to the cask after Bordeaux wine from Entre-Deux-Mers appellation. In nose: cocoa, sweet milk chocolate, raisins, date, apricot, Williams pear. The most subtle aroma of all these rums. In mouth sweetness, dried fruit and nuts, walnuts; finishes with prunes, leather, tea. After 45 years of aging in Colombia, the rum was put for four months to casks previously used for Scottish single malt whiskey, filled for the third time, earlier used for maturing of sherry. In nose sweet chocolate and cocoa, cherries in chocolate. In mouth delicate, still a lot of cherries and cocoa, hazelnuts, sweet coffee with milk. Subtle finish, still dominated by cherries in chocolate.